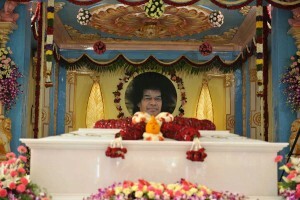 Sathya Sai Baba is one of the most revered spiritual teachers in the world today. He is quietly transforming the world by reestablishing the eternal values of Truth (Sathya), Right Conduct (Dharma), Peace (Santhi), Love (Prema) and Nonviolence (Ahimsa) in everyday living. Sathya Sai Baba was born on November 23, 1926, in Puttaparthi, a remote village in the state of Andhra Pradesh in Southern India. He is the fourth child of a humble and pious couple, who named Him Sathya Narayana Raju. As a child, He demonstrated exceptional qualities of wisdom, compassion, and generosity. When He was seven years old, He composed devotional songs that were sung in religious festivals. 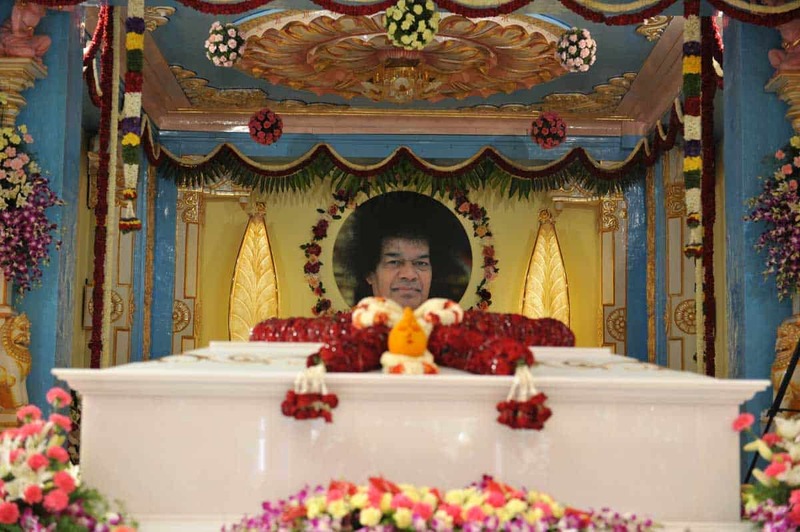 At the age of fourteen, He announced that His name was Sathya Sai Baba and proclaimed His mission: to bring about the spiritual regeneration of humanity by demonstrating and teaching the highest principles of Truth, Right Conduct, Peace, Love and Nonviolence. With that announcement, He left His childhood home and began His mission. The main objective of the Sathya Sai Organisation … is to help humanity recognize its inherent divinity. … So, your duty is to emphasise the One, to experience the One in all you do and speak. Do not give any importance to differences of religion, sect, status, or color. Have the feeling ofOne-ness permeate all your acts. Only those who do so have a place in this Organisation; the rest can withdraw.